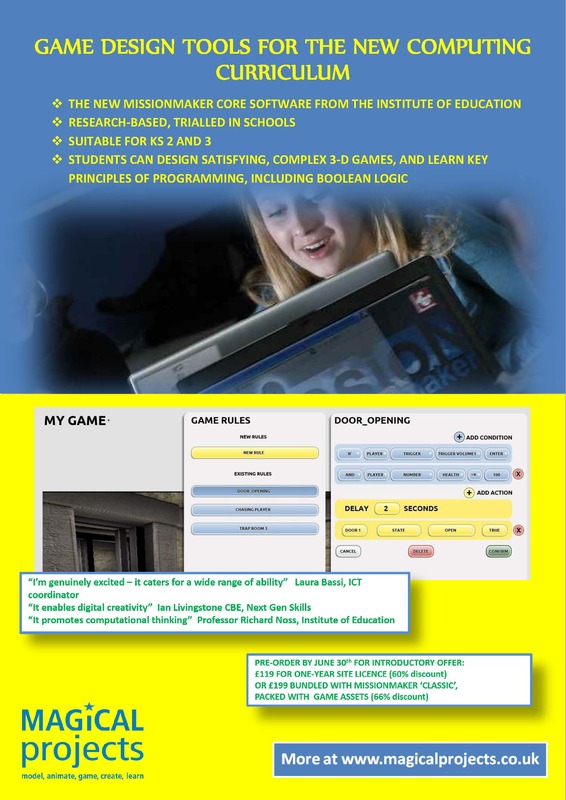 GAME DESIGN TOOL FOR THE NEW COMPUTING CURRICULUM | D.A.R.E. The Missionmaker Core tool has been designed to meet the needs of the new computing curriculum, as well as to promote good game design. It’s intended to be part of teachers’ essential toolkit for the new computing curriculum at KS2 and 3. It is designed to allow a wide range of ability and attainment – beginners to programming can make simple “if-then” commands; more advanced users can manipulate Boolean operators. It has been developed in a research and development project by the UCL Institute of Education, in collaboration with schools. 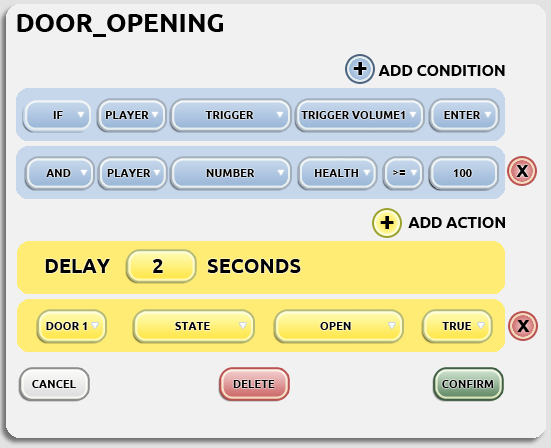 Building on the popular Missionmaker game-authoring tool, now owned by MAGiCAL projects at the IOE, it provides a groundbreaking new interface allowing pupils to make complex rules, learning key principles of programming and game design at the same time. We are very excited by the enthusiasm shown by a wide range of people: Richard Noss, Professor of Maths in education at the IOE; Lynn Roberts, course tutor in new media for the primary PGCE at the IOE; Ian Livingstone CBE, Next Gen Skills, adviser to the government, and former CEO of Eidos. Our partner ICT co-ordinators in schools are also impressed about the possibilities for their pupils. They have pointed to its value in meeting the requirements of the new curriculum; to its flexibility for a wide range of experience, age and ability; to its unique ability to enable rapid, high quality 3-D game design. The software is currently still in a beta testing phase, feeding into other R&D projects such as the Playing Beowulf project (under Projects on this site).